These were the judgments pronounced upon me. They were the phrases that defined me. They were spoken so often, I believed them. I believed that I was defective, inferior. I believed that I was somehow less. Even with all my gifts–of concentration, of perseverance, in music, as an autodidact–I still felt that there was something wrong with me because I didn’t fit in, because I rarely spoke up, because I enjoyed solitary activities, because I preferred walking in the hills to traveling with the pack. 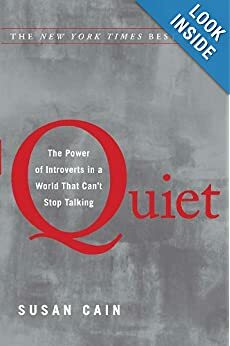 So, when a friend recommended Susan Cain’s sociological study, Quiet, I was intrigued.